Here’s a PSA to all game designers and people with an interest in balancing game systems – play Card Quest. It’s a humble little Early Access card battle/strategy RPG combat game with some immensely elegant mechanics that lend themselves to compulsive, satisfying play sessions. I really can’t overstate how refined the strategic systems are. Underneath some simple mechanics lies careful balancing to ensure that every card has its purpose, that every hand has a multitude of potential strategies, and that every fight is a puzzle with a myriad of valid answers. The entirety of Card Quest is a linear PvE experience – each card represents one of your hero’s possible actions and you have an energy meter which dictates how many cards you can play in each turn. After you’ve finished attacking, the enemies will attack you, and any remaining energy you had from your turn can be used to play defensive cards to block enemy attacks and tilt the scales in your favour. 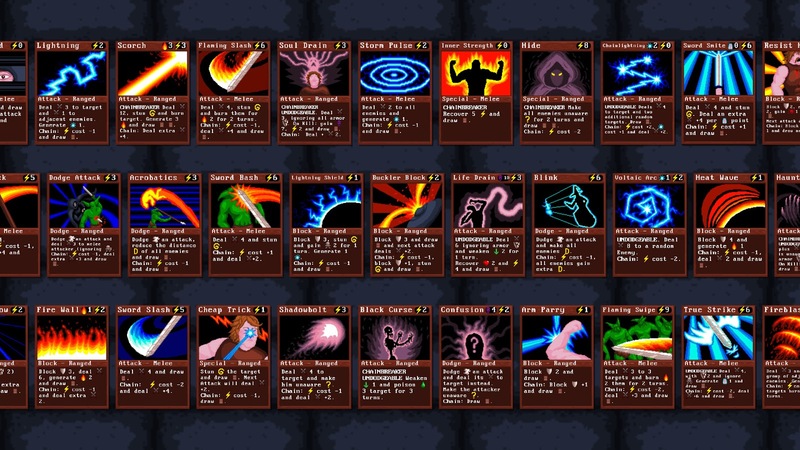 The pool of cards that appear in your deck, and the frequency in which certain cards appear, are dictated by the equipment your character wears. So far, so simple. Cards have a chain feature – playing a card as part of a chain offers additional effects, mostly positive but some detrimental. Other cards will break your chain, preventing you from reaping some potential bonuses. There’s theoretically no limit to how many cards you can play in one turn, or how many chains you start, but eventually you’ll either run out of cards, run out of energy or decide to stop and conserve energy for your defensive efforts. This system allows so much strategic choice to the player, and successfully managing your resources and exploiting the chain system leads to some very rewarding moments. Add to this additional character based resources, and Card Quest ensures that players will always be thinking and planning as they play, a refreshing change from other RPG battle systems which encourage players to grind their stats and repetitively use normal attacks once adequately levelled. Character progression is handled in a rogue-lite manner. There are currently two dungeons, each of which is built up from a branching series of levels. Completion of a level permanently unlocks an equip item for your character, which either slightly changes your card pool or allows you to take a bonus action during your fights. Furthermore, characters earn cumulative experience as they defeat monsters, unlocking very small perks such as increased health or energy maximums. Once they fall in battle though, it’s back to the beginning of the dungeon. Each individual level is randomly built from a pool of possible monsters unique to that level, and ends in a challenging boss fight. The bosses are all well designed, with distinct attack patterns, strengths and weaknesses which players will need to work around to achieve victory. 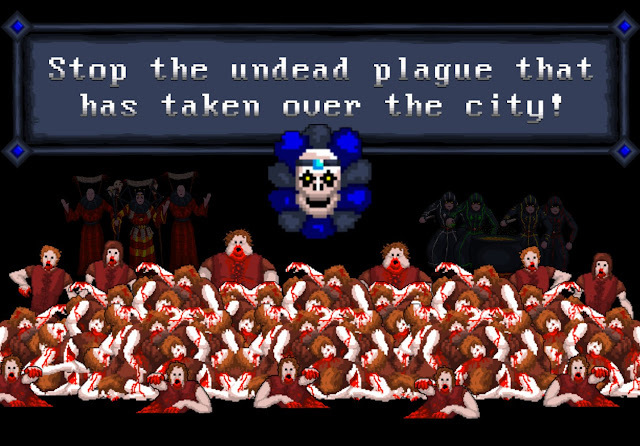 The bosses end up overshadowing the rest of the game however, because the normal encounters become rather trivial once the player figures out which cards work best in tandem with each other. The replay value lies in tackling each dungeon with the game’s three different characters – the designers have gone to great lengths to differentiate the playstyles between the rogue, the mage and the knight and the game is much stronger for it. The game’s art and sound assets are serviceable, but not groundbreaking. 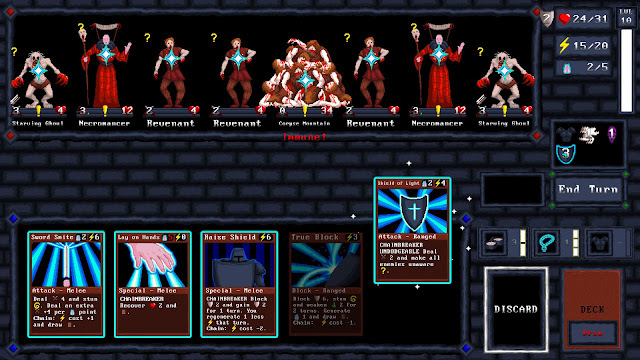 The black, 16-bit aesthetic is reminiscent of classic RPG’s like Wizardry, and the user interface is very conducive to Card Quest’s gameplay. Some sound effects are a bit hammy considering how often you’ll hear them, but otherwise I have no complaints. The gameplay is so much at the forefront here that talking about aesthetics seems trivial by comparison. Despite its stage in Early Access (it’s only on build 0.5! 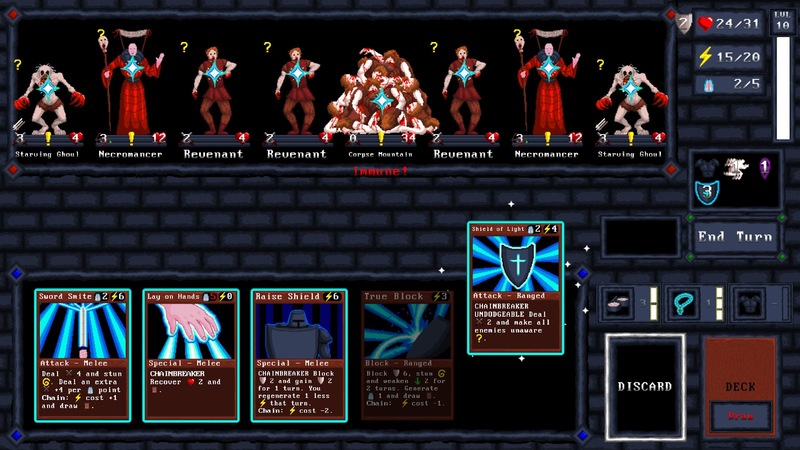 ), Card Quest is already immensely compelling and showcases the talent of its developers. The masterful use of strategic choices combined with some careful enemy design creates an environment which players will adore. It’ll be telling to see how the developers manage to expand upon the game’s current state with more content, and how additional factors will affect the game’s balance. From what I’ve seen so far however, I can confidently say that Card Quest is a game worth supporting.